Valdinievole is an area where you can find an extraordinary mix of ingredients such as SPA’s, untouched natural environment and old mediaeval villages. It is located right in the hearth of Tuscany among the Leonardo Da Vinci’s birthplace and Collodi the place where the novel of Pinocchio was born and where today it is possible to visit the park of the puppet famous all over the world. Arrival at the Hotel in Montecatini Terme and accommodation. Meeting with your bike guide and briefing on the program for the week. Quick walking tour of the spa town that dates back to the second half of the 18th century, whose water sources are now part of spa locations. The theme that we are trying to focus on is mainly based on parks and Liberty style: you will visit the town hall, decorated by the painter and potter Galileo Chini, who is also popular because he was the scenographer of the works by the renowned musician Giacomo Puccini, the Tettuccio Spa building, where you can find the wonderful and unique works of art by the potter Basilio Cascella, finally you will have the pleasure to sip a tasteful cocktail at the historical café to go back in time. For the dinner you will take the “funicular” (little old train, which was established in 1898 to connect the top of the hill with the thermal area), a nice way to reach Montecatini Alto, historical center of the town, a unique and enchanting small mediaeval hamlet with narrow alleys and picturesque corners to discover and to eat in a typical restaurant. Back to the hotel and overnight stay. Breakfast at the Hotel, meeting with the guide and Transfer with train to Pescia, the town famous for its nurseries of flowers, olive and lemon trees. 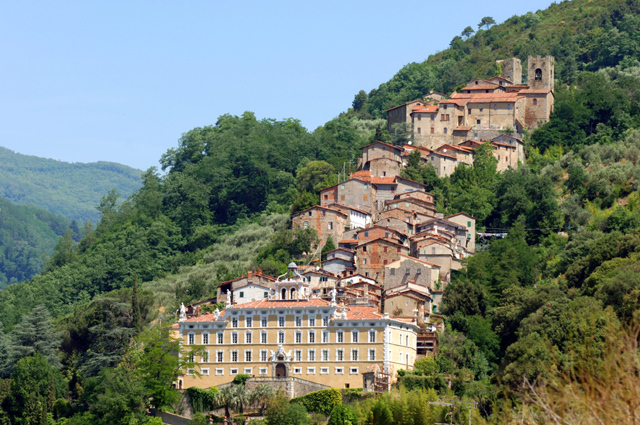 Our first step is Montecarlo, an amazing medieval village very well-preserved. This village is very famous for its wine and oil. We admire the landscape from the top of the hill and we visit Teatro dei Rassicurati which is one of the smallest theaters in Italy. 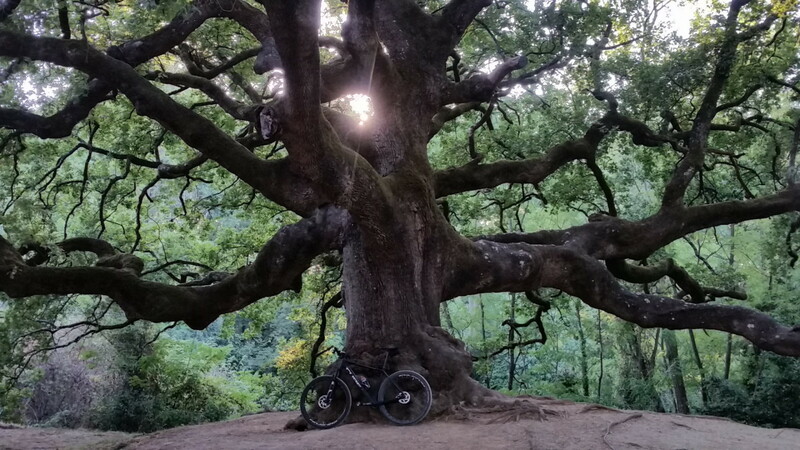 Second step is at Witches Oak a very old tree (around 600 years old) famous because is the place where Pinocchio was hung by murderers into Pinocchio book. On the branches of this tree usually danced witches during sabba night in old time. Our third step is in San Gennaro Village just in front of the Church of San Gennaro, a Romanesque church very suggestive and famous for a sculpture made by Leonardo da Vinci; probably the only statue made by Leonardo himself. Once we reach San Gennaro we stop in a nice tavern to have a brunch with typical products (cold cuts, cheese and local wine). Let’s continue, leaving the village eastwards, taking a dirt road that leads back to the Valle towards the Collodi residential area, the home town of the author of the story of Pinocchio. Visit of the Pinocchio’s park and the Villa Garzoni , one of the most famous Garden in Italy (included the wonderful butterfly house). From the village center it starts the “Via dellaFiaba”, this flagging path leads us back to the start. The participants will come back to Montecatini by train. Dinner and overnight stay in Hotel. Full itinerary 29 km, medium difficulty (some of the roads have to be crossed by foot if you are not trained). Breakfast at the Hotel, meeting with the guide and with your bike, riding to the marshy area of “Padule di Fucecchio”. You continue through uncongested roads and a small stretch of white road which lead straight to the marsh land. 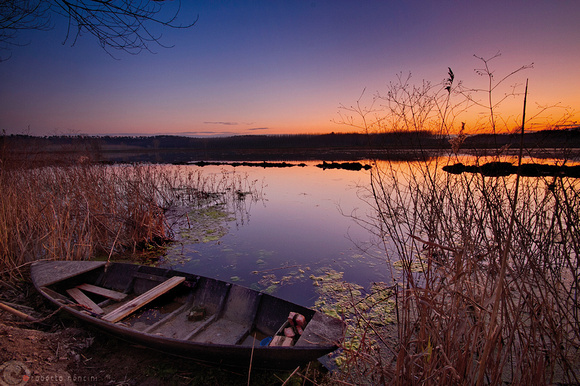 The Marsh Land of Fucecchio is the widest marsh land in Italy and one of the latest marshlands in Europe, perfect habitat for numerous and various local fauna. 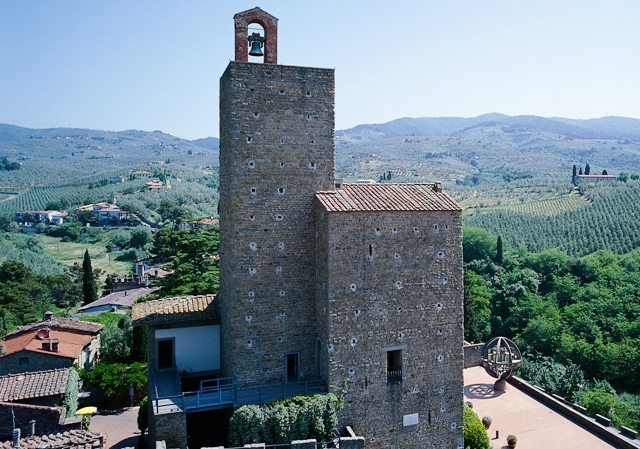 With its 1800 hectares, the land covers an area that goes from Pistoia to Florence. A real natural jewel: a large area rich of local flora and fauna of great interest, from the royal fern to various types of water lilies, from the herons (among which the wonderful squacco herons) that nest in colonies, to cranes and black storks for a total number of more than 200 types of birds, don’t forget that this is the Leonardo Da Vinci’s landscape that he painted in his paintings. At the arrival in the Marshland we leave for a moment the bike and we take a traditional boat (barchino) for a tour of the channel of Padule. These boats where used unti a century ago in order to carry goods from the Arno river to Valdinievole. After this boat tour we stop for a brunch of typical food and keep visiting Padule di Fucecchio by bike to reach Grotta Giusti Spa in Monsummano Terme www.grottagiustispa.com/it/spa-toscana/1-0.html to have a steam bath in the cave. 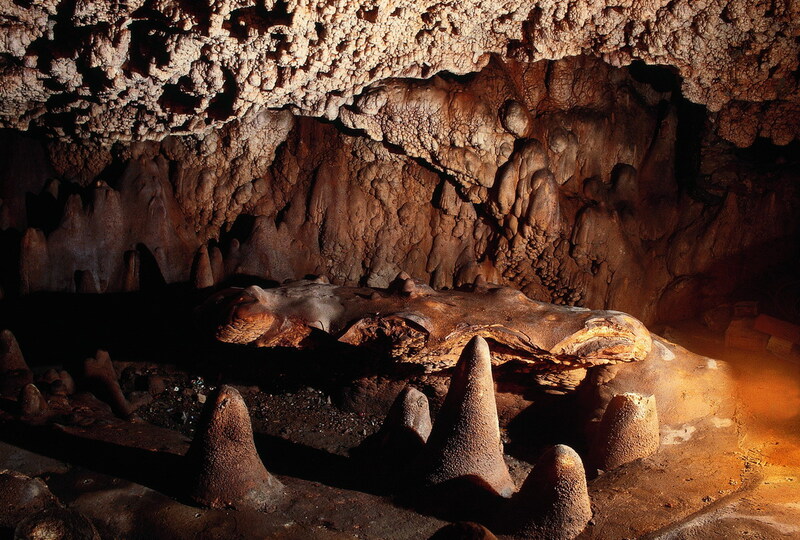 Divided into three distinct areas called Heaven, Purgatory and Hell, the cave offers visitors a chance to experience a unique environment with temperatures ranging from 28° to 34° C, and natural steam with healing and therapeutic properties. The interiors of the cave are decorated with stalactite and stalagmite formations, and feature several underground labyrinths with spacious caverns where you can relax in total peace and quiet. After the cave, bath in the thermal pool (the biggest thermal pool in Tuscany). Back to the Hotel by bike. Dinner and overnight stay in Hotel. Full itinerary 22 km medium difficulty (some of the roads have to be crossed by foot if you are not trained). Tot. 50km long, mt. 600 ascent, medium difficulty (some of the roads have to be crossed by foot if you are not trained). Duration: from 5 to 6 hours. the rental of the bike but if you want we can rent it for you , the rate per day per bike is €. 30.,00 included the delivery and the collection of the bike (we need to know in advance the weight and height of every participant) . On request we can book also E-Bike, obviously the rate will be higher. you’ll be contacted for booking confirmation and details.